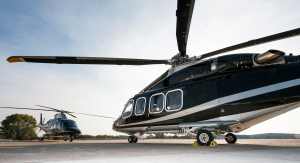 Rotorcraft Services Group, Inc. (RSG) is a dynamic integrated helicopter services organization, and a “recognized leader” in the aerospace/aviation industry. RSG is committed to building and enhancing our global capabilities, to better serve our customers’ needs in every part of the world. RSG provides services and products to the helicopter segment of the aerospace industry, including heavy modification and retrofit, completion customization services, air conditioning and video systems manufacturing, engineering services, and manufacture of spare parts as authorized by its Parts Manufacturing Approval (“PMA”) granted by the Federal Aviation Administration (“FAA”) for both commercial and military helicopters through its current subsidiaries: RSG Aviation, RSG Products and RSG AeroDesign. RSG Aviation, through its predecessor companies is a rotorcraft services company providing modification, retrofit, completion services, and component overhaul to commercial and military helicopters. RSG Aviation and its predecessor companies have served the aviation industry for 38 years and occupy over 140,000 square feet of hangar and shop space at Fort Worth Meacham International Airport (“Meacham Field”). In the past 25 years, over 800 new and retrofit helicopter completions have been performed on various models manufactured by Original Equipment Manufacturers (“OEMs”) Eurocopter, Bell Helicopter, Enstrom, Sikorsky and Agusta. Numerous civilian, commercial and law enforcement helicopters and additional retrofit opportunities of the model UH-60 (“Blackhawk”) aircraft for the US Army National Guard have been completed. RSG Aviation is a long time Bell Helicopter Customer Service Facility for the 206/407, 212/412, 220/230/430 and 429 models. RSG Aviation has been an approved AgustaWestland Customer Service Facility since late 2009 for the A109, A119 and Aw139 models. RSG Aviation currently holds FAA Repair Station Certificate RV1R466K and ANAC (Brazil) Air Agency Certificate 0712-01. Comprehensive aircraft modification and completion services. Advanced avionics integration, testing and qualification. Nose to Tail phase and heavy maintenance services. Repair and Overhaul for civilian and military helicopter fleets. Extensive Defense Contract Management Agency (DCMA) experience. RSG Products (formerly Integrated Flight Systems or “IFS”) is the holder of an FAA PMA authority that designs, manufactures and distributes air conditioning and video camera systems for various helicopter models. RSG Products has manufactured, shipped, or installed over 500 lightweight air conditioners for a variety of helicopter types in the past 10 years. RSG Products has also developed marketing relationships with domestic and international helicopter operators, including several of Eurocopter’s subsidiaries. The company is currently the largest external supplier of air conditioners for the Eurocopter AS350/EC130 model product line. Subsequent to December 31, 2007, the company relocated its operations from Reno, Nevada to Meacham Field in Fort Worth, Texas in a hangar/shops facility there with roughly 34,000 square feet. FAA STC approved PMA kits. Lightweight modular and energy efficient design. Engineered for reliability and ease of maintenance. High capacity/high flow HPACS in compact design. Detailed installation and maintenance instructions manuals. Installation technicians available for training & support worldwide. Best in industry warranty support.